WASHINGTON, DC: Even though she moved to New York from Delhi at the age of 15, working in Bollywood remained a dream for Indian American musician Subhi Khanna Rangnekar. After working in the media and pursing music on the side for a few years, she decided that if “music is my passion, it should be my main focus” — not a moonlighting venture. In June 2013, she packed her bags and left for Mumbai, along with StyleBhai, the New York-based reggae singer, composer and writer. Now a year and a half later, the duo debut in Bollywood with the release of Take it Easy, which reaches theaters on January 2. Directed by Sunik Prem Vyas and produced by Dharmesh Pandit, it is a story about the tension between the innocent dreams of children against the forceful wishes of their parents — a prevalent friction in Indian middle class households. The film’s opening song, Tu Bechaara Mein Bechaara, is written and composed by both Subhi — she uses only the first name in her artistic life — and StyleBhai. The song is sung by eight children and also features the voice of Shivam, son of popular musician Shankar Mahadevan, who had previously sung in Dhoom 3. The title song of the film, Take It Easy Yaar, is also penned by the two. Subhi and StyleBhai, have also composed the promo song of the upcoming feature film Kaun Kitne Paane Mein. The film is directed by Nila Madhab Pandav, who had previously directed the critically acclaimed I Am Kalam. The film satirically explores the traditional Bollywood romance against the backdrop of the caste system and the changing notion of hierarchy. The song is sung by Shilpa Rao and the lyrics are penned by Subhi. “I am obviously thrilled about the break,” Subhi told The American Bazaar by phone from Chicago, where she lives now with her husband, education technology entrepreneur Ashish Rangnekar. She said that she was lucky that, of the three songs she worked on, two are promo songs and the third the opening song of the film. 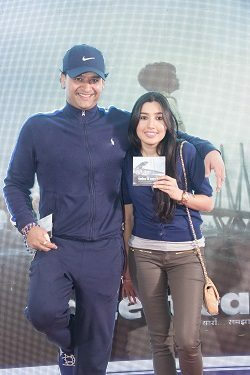 After their collaboration in three Bollywood film songs, Subhi and StyleBhai, whose real name is Jai Ratan Menun, are now pursuing their separate musical careers. Speaking about her experiences in Mumbai, Subhi said getting an opportunity wasn’t easy. In the past 18 months, she spent roughly 200 days in Mumbai. Nonetheless, she is optimistic about her future in the Indian film industry. “Overall it is very exciting,” said Subhi, who got her first break in music when she got a job as a music assistant for Monsoon Wedding, the Broadway show based off of the award-winning 2001 film by Indian American filmmaker Mira Nair. “Mumbai is still very old school in that they want to meet you, but times are changing,” she said. “The new directors are open to the idea of working through the internet.” In fact, she landed Pandav’s film after communicating with him through Facebook. East meets West is the theme of most of Subhi’s music and she draws inspiration from a diverse set of artists such as Beatles, R.D. Burman, Santigold, Fleetwood Mac, Radiohead and Adele. A musician who loves to “fool around with different genres,” Subhi said she would like to push the envelope of Bollywood music. Born in Delhi, music has always been a passion for Subhi. While studying at the city’s Mater Dei school, she was part of its both Indian and Western choir. After moving to New York at the age of 15, along with her sister — her mom and dad had already moved to the Big Apple in the mid-1990s — Subhi continued to pursue both Indian and Western genres. The richness and the competing orthogonal elements in her compositions highlight the sharp contrast between the two cities and the cultures that she embraced as a young kid. She has also composed and written songs for various short and independent feature films in the United States. that were featured at several film festivals. Since graduating with a master’s degree in film & media studies from The New School in New York, Subhi worked as a reporter for TV Asia in New York, covering the South Asian community. As a freelancer, she has also covered stories for the Indian channels Times Now, Headlines Today and NewsX, and worked as a guest host for Home Shopping Network based in Tampa, Florida. 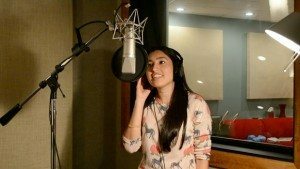 Currently she is working on releasing her EP in the United States, along with fulfilling her dream of working as a music director in Bollywood.